Introducing the new Ford Greenhouse. Something I haven’t mentioned before is my allotment which has been part of my life for the past two years. 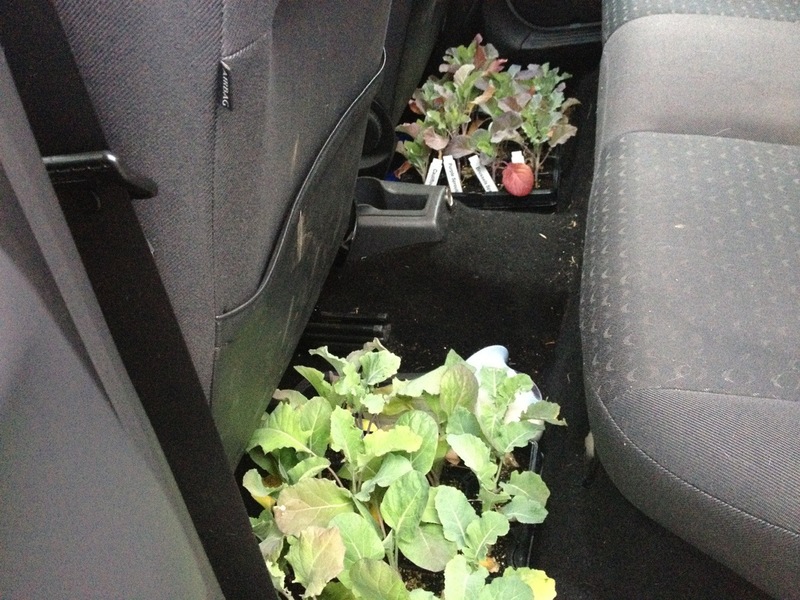 This means that the 40 brassica seedlings on the floor of my Focus have had to stay there. So now my Ford Focus (currently parked in Swingate) is playing the part of greenhouse for my brassicas – my collection of purple sprouting broccoli, cabbage, cauliflower, and brussels sprouts. And they’re loving it. Plenty of light and oh so toasty!